On Tuesday, July 21, the Rocky Point Rotary Club welcomed guest speaker, Wayne Mammina. Wayne is an active member of the Rocky Point Historical Society. In addition to volunteering with the Historical Society, Wayne is working on a book, "Rocky Point Through the Eyes of a Child." Wayne shared many childhood memories of times spent with his brother as an altar boy in St. Anthony of Padua's church. He reminisced about Msg. 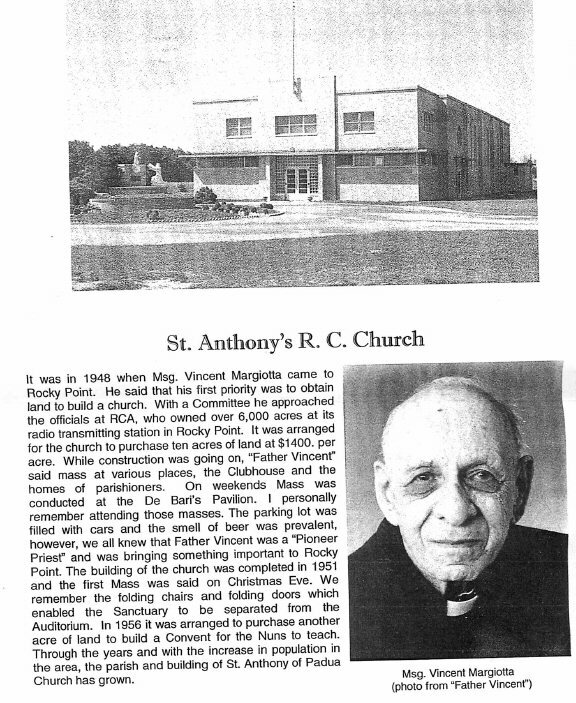 Vincent Margiotta (aka Fr. Vincent) and the origins of the church he loves in beautiful downtown Rocky Point. 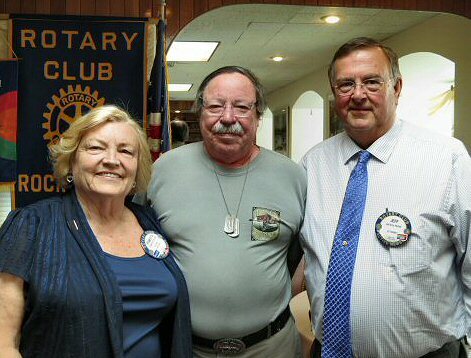 Thank you to Rocky Point Rotarian, Roberta Gerrish, for inviting Wayne to our meeting so that he could share his memories of his childhood.